3rd April – A small heronry established very close and visible from midway along the long embankment of the Pedrera reservoir, with much nest activity and two Booted Eagles in close attendance this morning. First Cuckoo and daily Green Woodpecker to be heard clearly and frequently near to the Benijófar water wheel on the Rio Segura, opposite Formentera. 6th April – I was just passing La Pedrera by bike on Wednesday when I first saw the Pedrera heronry. A more leisurely visit today, with binoculars, reveals eight occupied nests, each with at least one sitting Heron. I suspect that we are still at the eggs stage, as there was no obvious feeding. Good shots will be easily achievable from the road for any CBBC members with the right equipment. 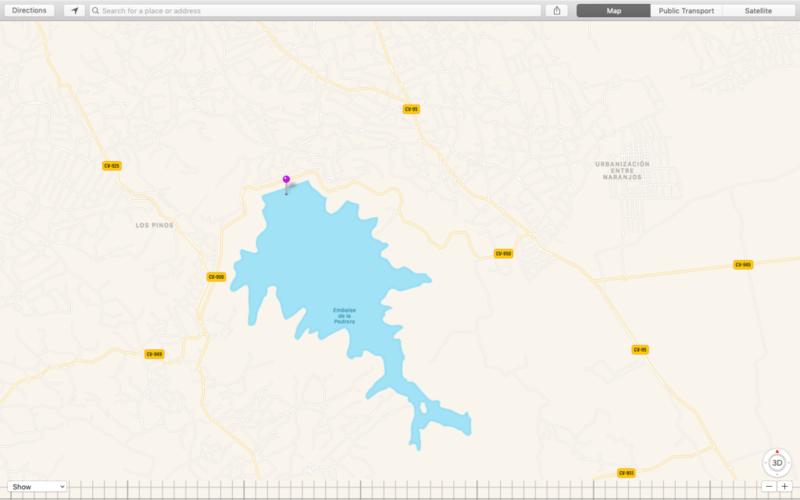 Attached screenshot shows map location.